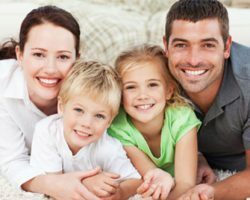 To get the best family dentistry, you need to go to a general dentist who can help you keep your kids’ mouths and your own mouth as healthy as they can be. You need to visit a general dentist like Dr. Thomas J. McDonald at Mid-Michigan Dental Excellence. Dr. McDonald can treat children, teenagers, and adults at our dentist office in Alma, MI. 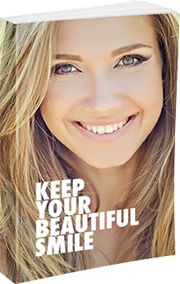 We want you to receive comprehensive and comfortable dental care. We provide a wide range of services, and we have incorporated new technology into our practice to give you the best care possible. Schedule a dental cleaning if you are new to the area, if you are looking for a new family and general dentist, or if you haven’t been to the dentist in a few years. We looking forward to meeting you and to getting to know your family. Dr. McDonald hopes that you are already following the basic practices that are recommended for good oral health. This starts with your daily oral hygiene routine. That means brushing your teeth twice a day, for two minutes at a time, with fluoride toothpaste and a soft-bristled toothbrush. It also means cleaning between your teeth and gums daily with dental floss or another interdental cleaner. Professional dental cleanings should happen a couple times each year, although we may recommend more frequent visits to Mid-Michigan Dental Associates if you have a chronic issue. During your visits to our office, you can expect a couple things. First, you won’t find a better staff than the team at our dentist office in Alma, MI. From Dr. McDonald to our hygienists, assistants, and office staff, everyone wants you to have the best experience possible whenever you are in our dentist office. During your first appointment, you can receive a tour of our office, an introduction to our staff, and a small welcome gift for visiting with us. You also will receive a thorough dental cleaning to remove any plaque or tartar buildup from your teeth. We will provide a complete examination as part of your complete dental care. If you do have tooth decay or gum disease, we want to find it as quickly as possible. Treatment and prevention are easier when you catch problems early, and regular dental visits make it more likely that will find those problems before they get out of hand. Let’s say you were showing symptoms of gum disease. If you have gum disease, then we may recommend a treatment called scaling and root planing. This is similar to the regular cleaning we do during a routine visit, only it’s deep enough to remove bacteria, plaque, and tartar from the roots of your teeth. We frequently use the Waterlase for this procedure. This is an innovative dental laser that combines air, water, and lasers to remove harmful bacteria and, if needed, infected gum tissue without surgery. Dr. McDonald has been a general dentist for 30 years, but he’s also made continuing education a priority throughout his career. As a result, we have incorporated the latest techniques and technologies into what we do on a daily basis. We also may recommend using special mouthrinse or toothpaste in some cases. These rinses and toothpaste can remove bacteria and that could lead to more infections. To detect tooth decay, we use the DIAGNOdent. This is another dental laser. Where the Waterlase is used to treat gum disease, the DIAGNOdent is used to detect cavities that can’t be seen with the naked eye. The DIAGNOdent uses a laser to identify tooth decay earlier than we ever could before. We’ve said it before and we will continue to say it. You should feel comfortable when you come to our dentist office, physically and emotionally. This is why we offer sedation dentistry in addition to our many other treatments and services. With our sedation options, we can provide a dental cleaning to the more anxious or fearful patients. And please feel free to ask questions at any time. When you understand what is happening, it can make it much easier to go through with a procedure. Dr. McDonald chose to open a general dentist office in Alma, MI, in 2015. In doing so, he wanted to create a one-stop shop where every member of your family could go to meet his or her dental needs. You can make an appointment by calling 989-796-4848 or by filling out our online form.